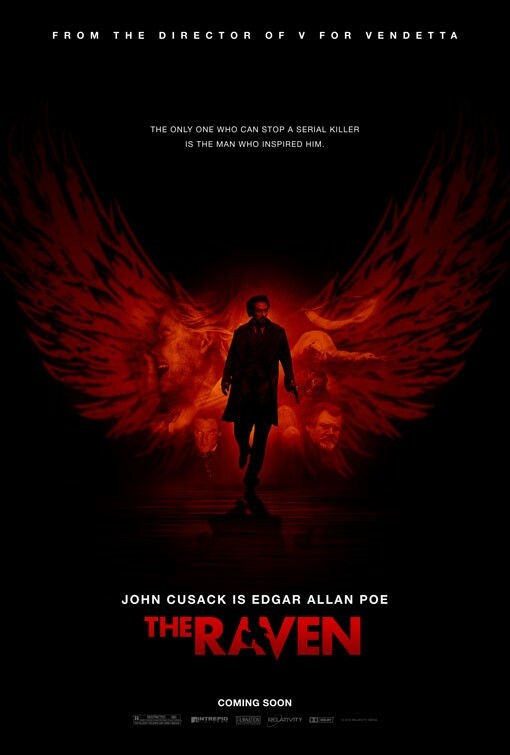 Here's a new really cool looking poster for THE RAVEN that reminds me of Constantine for some strange reason. James McTeigue is directing the flick that stars John Cusack, Alice Eve, Luke Evans, Brendan Gleeson and Oliver Jackson. Look for this film in theaters on April 27th. When a mother and daughter are found brutally murdered in 19th century Baltimore,Detective Emmett Fields makes a startling discovery: the crime resembles a fictional murder described in gory detail in the local newspaper—part of a collection of stories penned by struggling writer and social pariah Edgar Allan Poe. But even as Poe is questioned by police, another grisly murder occurs, also inspired by a popular Poe story.